Two more days until Christmas! It doesn't seem possible! It feels like I just wrapped up my crazy month of Halloween posts. So here I go, cramming as many goodies into one post as possible. I dug through the card catalog - er, plumbed the depths of the online catalog - to find as many vintage Christmas books as possible. Here are a few wonderful books featuring favorite picture book characters that have been around a while. Only two of these books are currently out-of-print, as far as I can tell. 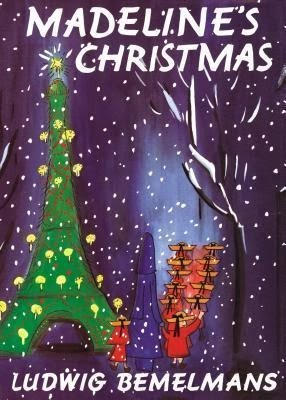 Madeline's Christmas by Ludwig Bemelmans. Orig. published in a McCall's magazine insert, 1956. I love Madeline. She is one of my favorite characters. 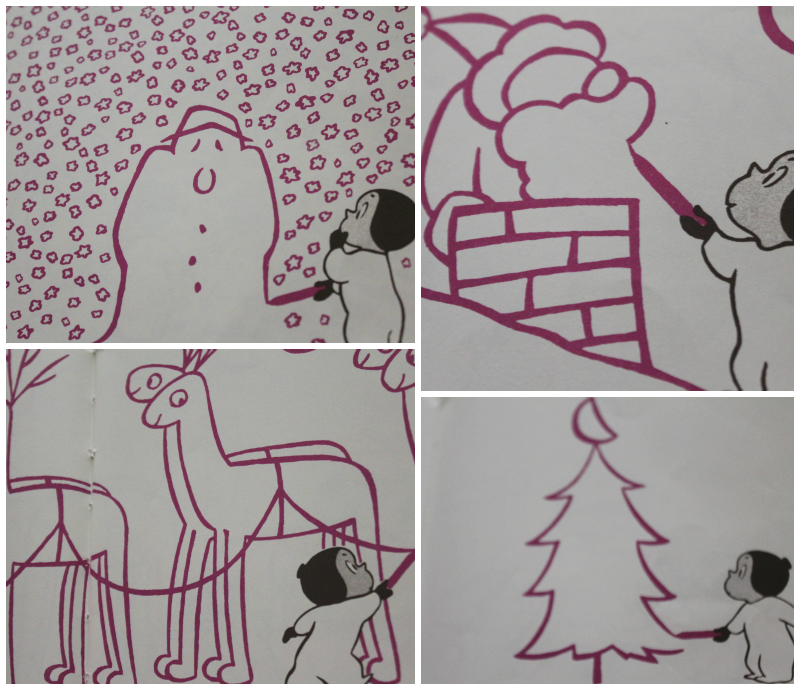 That said, Madeline's Christmas is a strange one. Everyone in the old house in Paris is sick, except for Madeline. She is taking care of everyone, when a rug salesman appears at the door. She buys all the rugs to warm her charges. The salesman returns, frozen to the bone, intending to get his rugs back. Instead, Madeline takes him in and warms him up. Out of gratitude, the salesman, who is also a magician, turns all the rugs into flying carpets, and all the little girls fly around. Merry Christmas! Babar and Father Christmas by Jean De Brunhoff. Random House, 1940; reprint edition, 2001. This is one from my personal collection. 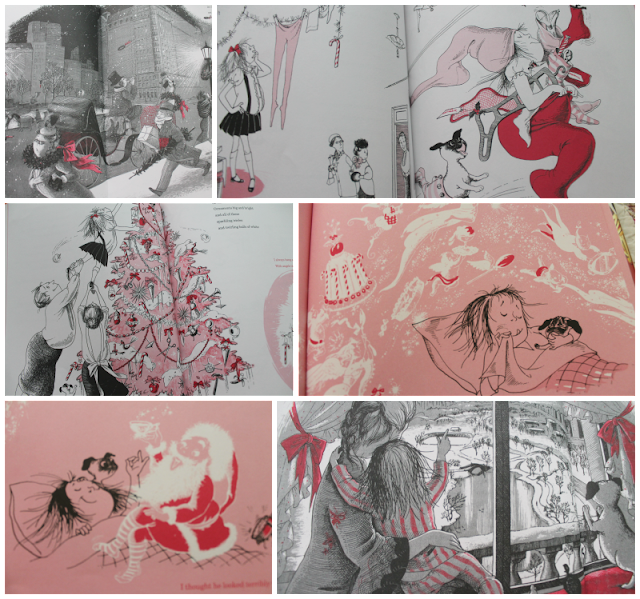 The elephant children learn about Father Christmas and his gifts to humans. They ask Babar if Father Christmas couldn't come visit the elephants, too. Babar sets off in search of Father Christmas. He is finally found by the "dwarves" (elves), half-frozen in the snow. 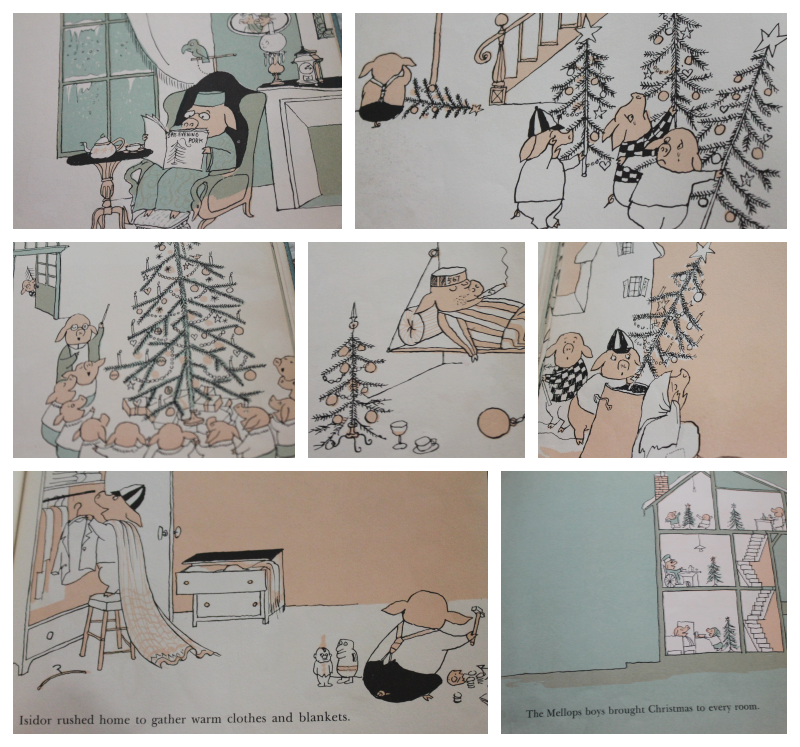 Father Christmas and his dwarves warm him up, then Babar discusses his reason for coming. 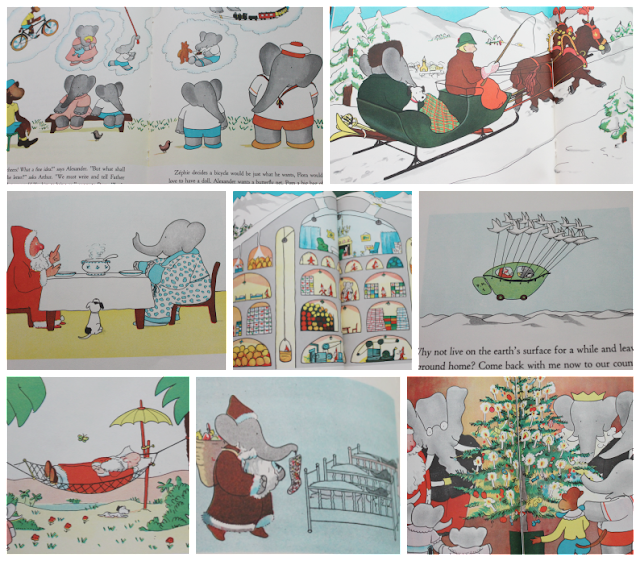 After a tour of Father Christmas's home and workplace, which is actually underground, Babar invites the man back to the Elephants' Country for a vacation. Father Christmas gives Babar his own magic suit, and promises to visit the Elephants' Country again. 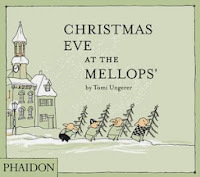 Christmas Eve at the Mellops' by Tomi Ungerer. Orig. published by Harper & Brothers, 1960. I love this one. Mr. Mellops tells his four boys about Christmas decor, and all five decide to surprise the household with a Christmas tree. No one needs five trees, so the boys set off to find someone who needs a tree. The orphanage, hospital, and prison are supplied. Finally, they find a girl crying in the street. There are many poor, sick people in her house. The boys not only bring their trees to each person in the house, but they bring medicine, food, and firewood, as well. It's a lovely lesson in giving. 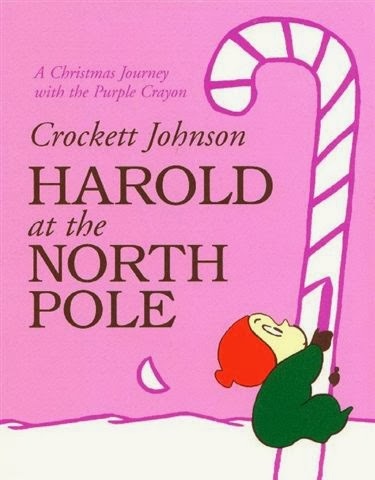 Harold at the North Pole by Crockett Johnson. Orig. published by Harper & Brothers, 1956. Most recent reprint by HarperCollins, 1998. 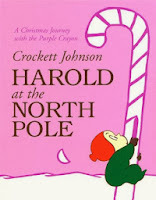 Harold needs a Christmas tree before Santa arrives! But first, there must be snow. And if there's snow, why not a snow man? The snow is everywhere. It looks like the North Pole. But where is Santa's house? Oh! The house is buried in snow, and Harold is on the roof! 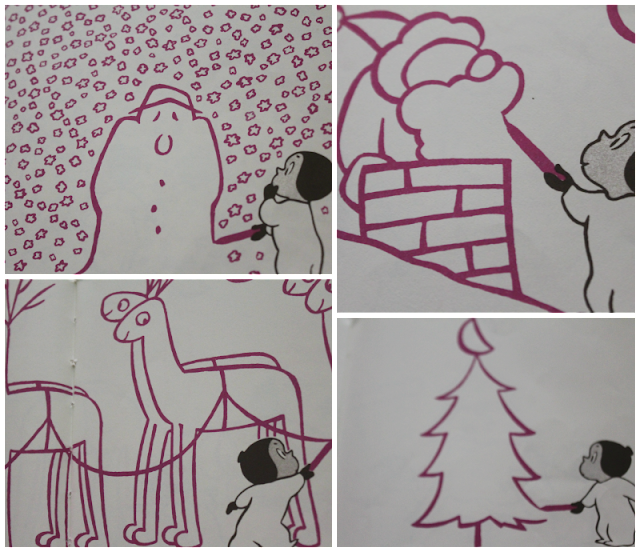 So Harold draws Santa coming up out of the chimney. He gives Santa his reindeer, a sleigh, and a bag of toys, before he remembers the tree! He finishes drawing the decorations, and falls asleep in the chair, waiting for Santa. Petunia's Christmas by Roger Duvoisin. Orig. published by Knopf, 1952. Most recent reprint, 2004. Orig. published by Random House, 1958. Reprint by Simon & Schuster, 1999. 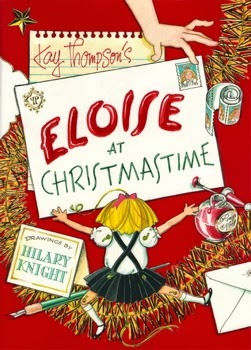 Now for a little bonus, I'll leave you with more Kay Thompson and more Eloise! Here is Kay Thompson singing "Eloise." And here are a couple of Christmas recordings by Kay Thompson's protegee Andy Williams, "Kay Thompson's Jingle Bells" and "Happy Holiday/Holiday Season," both arranged and partly written by Thompson. And one last look at Kay herself. oh this is WONDERFUL!! Wonderful post! I've never read the Mellops book. Can we just keep going with Christmas stuff thru January?? 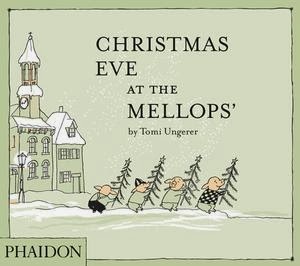 :) I love the Babar Christmas book, and it occurs to me that Julia has never read it. I need to get that one! Oh if I could have a Christmas playdate with you and watch Rick Steves and eat cookies with ya! Happiest of holidays to you my friend!!! I have a few Christmasy things that will be posted after the 25th. The last day of Christmas is January 5th, though, so I have time! 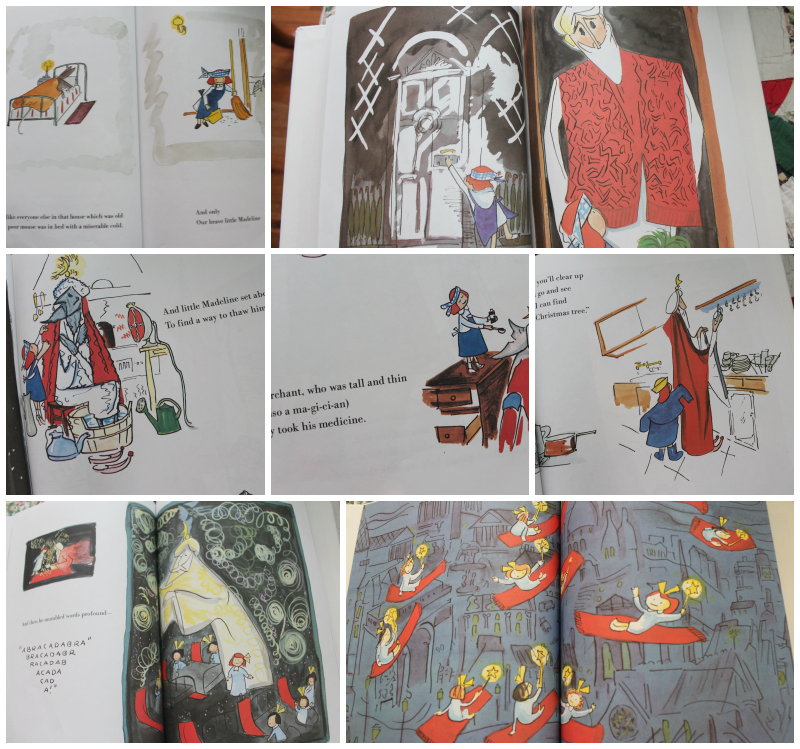 :) I almost forgot about the Babar book. 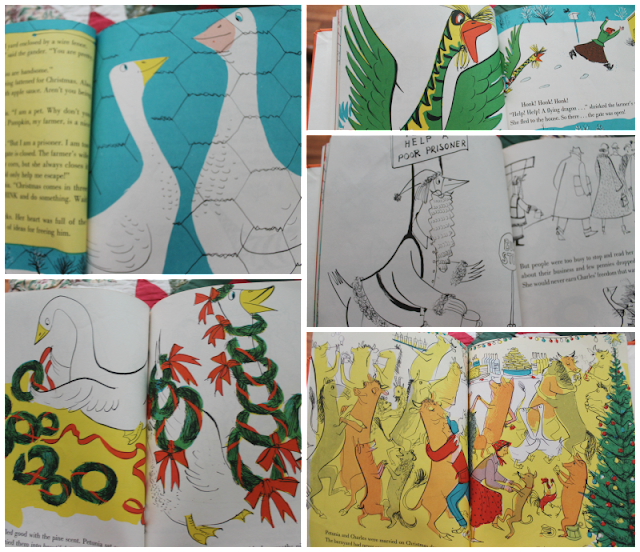 I have a set of five awesome vintage Babar books from the '60s. I keep them high on display in the playroom. The Mellops book is awesome! It's so funny at first, then turns so sweet. I love Tomi Ungerer. The Three Robbers is one of the girls' favorite books. Oh, a Christmas playdate would be so much fun! We're making cookies right now! I'm making meringues for the first time. Martha Stewart, do not fail me!!!! Happy Holidays!!!!!!!!!!!!!!!!!!!!! O what a great list. I'm so pinning it. Thank you, my dear! Merry Christmas Eve! Too many things in this post to love!!! 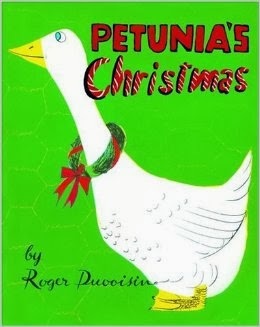 Oh I adore Petunia! I don't see it often in bookstores but it's such a fantastic character and I just love all the serie! Andy Williams has a magical voice! Just can't help but smile and swing to his songs! Merry Christmas to you and your family!